A number of weeks ago, while researching recipes for doenjang jjigae, I was invited into the back room of my local Korean market where the proprietress was busy preparing banchan for dinner. On her work table sat a large bowl full of a ground meat mixture, dotted with bits of green, and another large bowl holding lacey white slices of lotus root. Knowing my curiosity to learn about Korean cooking, this nice lady explained that the meat mixture was ground beef, sesame leaves, garlic, and onion. She then showed me how she was forming patties, pressing a bit of the beef mixture onto each side of a lotus root. 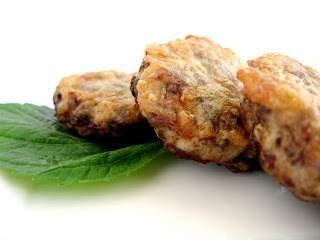 The patties would be dredged in flour and then dipped in egg before being fried, she informed me. It sounded tasty, and the lotus root slices, packaged between the seasoned ground beef, seemed like such a cute idea! For the western palate, this banchan, or side dish, would seem to be channeling shepherd's pie, with the potato-like lotus root enveloped in a meaty layer. It's just re-constructed on a whole new level of inspiration, with the minty sesame leaves and unique texture of the lotus root giving it a decidedly Korean twist. It's great as one of many banchan at a traditional Korean meal, but it would be equally delicious as an appetizer for a western-style meal or cocktail party! (I confess, I've even had a couple for breakfast dipped in ketchup. Yum!) 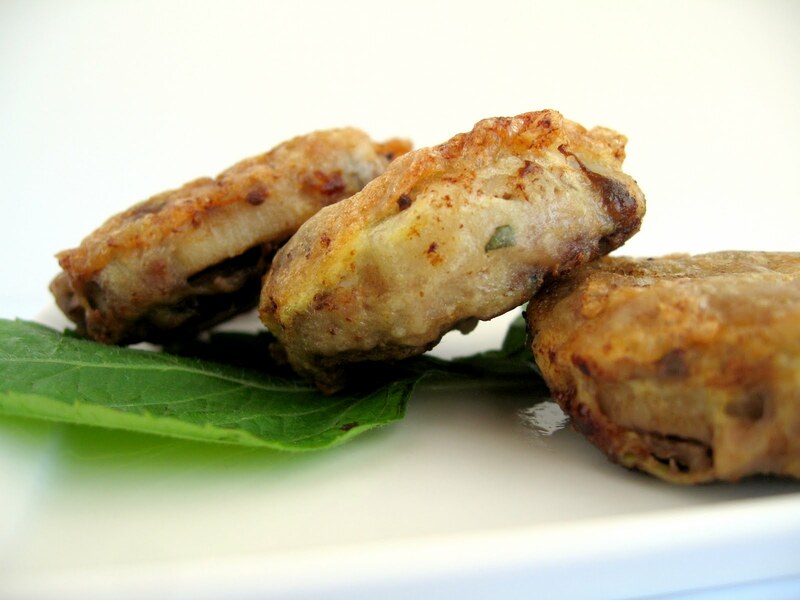 Perfect finger food, these little patties can be served both warm and at room temperature. I never found out from my ajumma what this side dish is called, but based on my research, I figure yeongeun wanja jeon ("lotus root wanja jeon") should describe it appropriately. (However, if I have any Korean readers here, would you recommend a better name?) Also, she didn't give me any recipe other than a list of the basic ingredients and vague descriptions of the preparation method, so what I'll be sharing with you today is my interpretation of what was going on there in that Korean kitchen! Before I send you on to the recipe, I want to leave you with a couple notes on the ingredients. 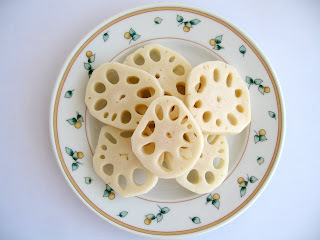 Lotus root, starchy and reminiscent of potato, contains tannins which render it slightly bitter when raw. And even after cooking, the texture firms up quite considerably if refrigerated, so I recommend either serving this within a few hours of frying or making sure to thoroughly re-heat the wanja jeon if they've been stored in the fridge for any amount of time. The sesame leaves (also known as perilla leaves) were something I'd never cooked with before, and they have a delightful mint-like flavor. They can be eaten raw, as part of the lettuce wrapping for ssam, or chopped up and incorporated with cooked foods. And with their heart-shape and serrated edges, the leaves also make a beautiful backdrop on serving plates. Bring a pot of salted water to a full boil, then add the sliced lotus root and cook at a boil for 5 minutes. Drain and rinse with cool water. 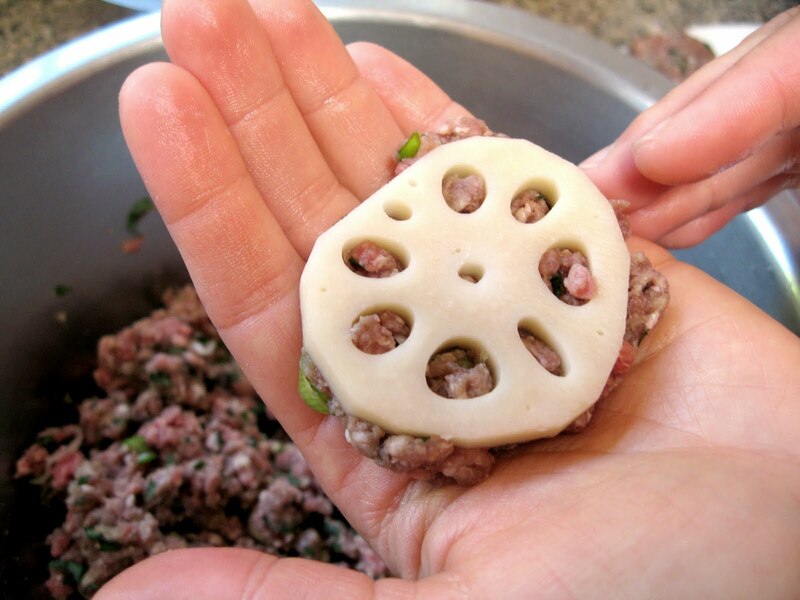 While lotus root is cooling, place the ground beef in a large bowl; then, using a garlic press, mince the cloves of garlic over the beef to collect both the solids and the juices in the mixing bowl. Add the sesame leaves, onion, salt, and pepper, and combine gently but thoroughly. Take a slice of lotus root and pat a scant tablespoon of the meat mixture until it fills the holes in the root, then turn the slice over and press a little more meat on the second side. Repeat with remaining lotus root slices. 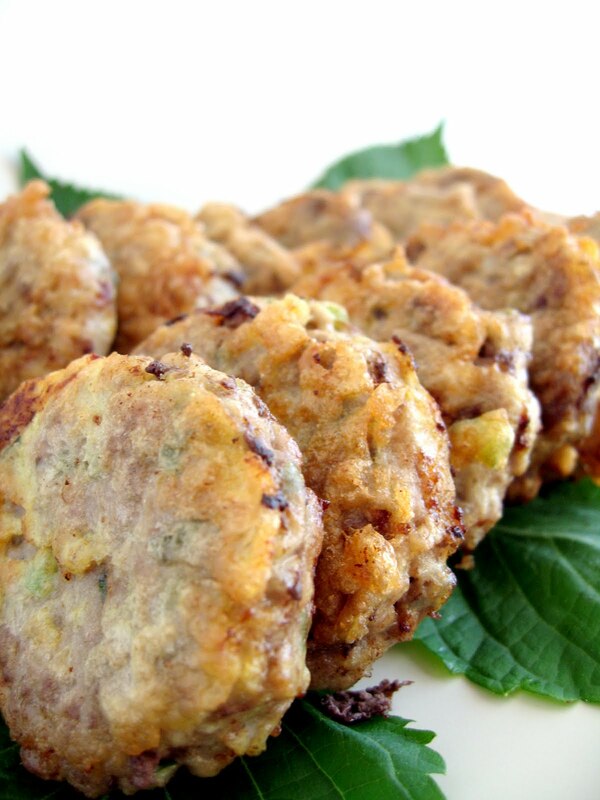 Dredge each patty in flour, shaking off excess flour. Heat ¼ cup oil in a large frying pan over medium heat. Dip meat patties into beaten egg, to coat, and place in hot oil. Cook 5 minutes on each side until golden brown, then transfer to paper towels to drain oil. Serve with dipping sauce. 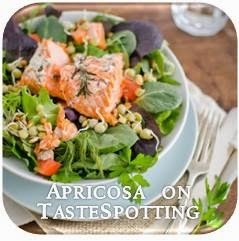 Awesome, I made a variation of this in my Japanese cooking class in Tokyo, except done tempura style...very good, easy, and healthy. Looks great! This is a very different idea try - good on ya being so adventurous! I'm Korean and I've never seen this, but I'm going to try it - looks so good!